Matthew Locke ((c. 1621 – August 1677) was an English Baroque composer and organist to the Queen in the period leading up to the great Henry Purcell. Locke is known to have written part of the music for Sir William Davenant’s The Siege of Rhodes (1656), which is generally considered to be the first English opera. I am a great admirer of both Phantasm and Elizabeth Kenny, who is proving to be one of Europe’s finest lutenists. I first encountered some of the music on this CD in a lunchtime concert at Wigmore Hall, London in Spring 2017 when these artists performed Locke’s The Flatt Consort “for my cousin Kemble” amid some works by William Lawes. 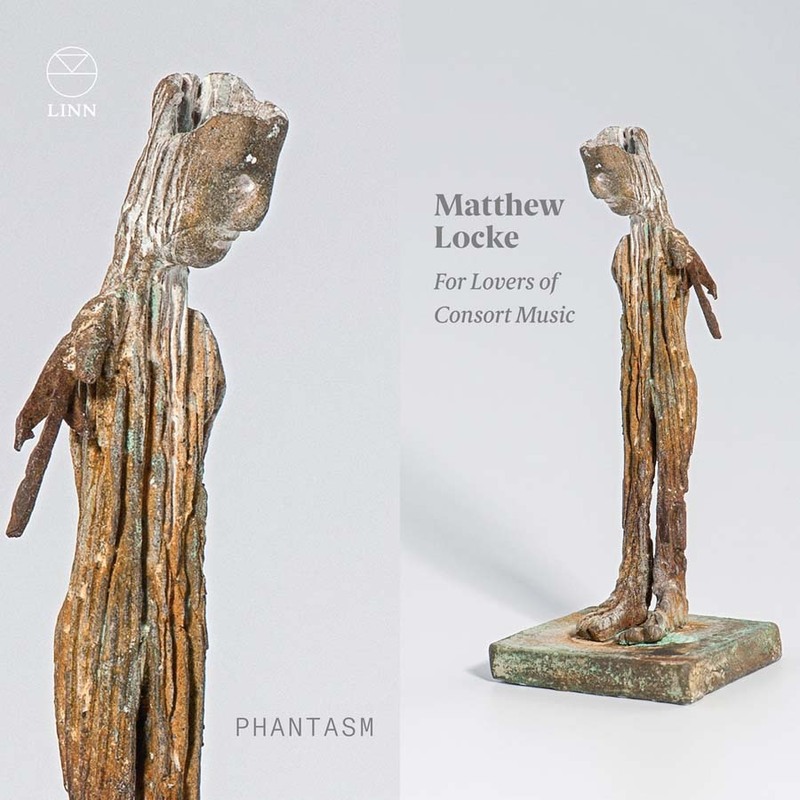 Since then I have been eagerly anticipating a release like this and to further my pleasure I learn that this is the first recording in what will be a series exploring the music of Matthew Locke. Locke’s music exhibits a ceaseless and obsessive quest for variety that provides the listener with music of great breadth and diversity and this will surely endear this composer to all lovers of consort music. Laurence Dreyfus et al deliver an intriguing programme that showcases Locke’s slightly anarchic approach that encompasses quirkiness and humor, and gives us music that is both lyrical and sweet. It must be difficult to put together a complete CD of miniatures: few of the works presented here, even the more extended suites, are longer than ten minutes duration but this disc is a great listen from start to finish. All releases by Phantasm are well worth listening to but this one, dedicated to the music of Locke, excels even by their high standards. The continuo part is brilliantly realised and Elizabeth Kenny is once again in superb form. The playing and the excellent Linn recording enable one to fully appreciate the textures of this repertoire; all of which is well worth hearing. Personal favourites include the two suites The Flat Consort for my cousin Kemble that start and finish this CD that has wetted my appetite for more music from this intriguing composer. This release comes highly recommended not just to aficionados of consort music but to all open-minded lovers of chamber music. I have no hesitation in nominating this release for our Collectors’ Choice this month.